I’ve been working on my Windows Home Server 2011 and the one thing that I’ve been wanting to do was consolidate an iTunes database on my server that all individual PCs in the house pointed to. This way, if you were to rip a CD on any computer in the house, it would be saved to the server and not to the individual computer. In this way, all computers in the house would share a single iTunes database – not just the media folder – but the entire database and installation. I accomplished this for my Google Picasa installation a few months ago as well – all computers share and contribute to a single Google Picasa library (see this link for how – http://www.cloudave.com/911/how-to-guide-picasa-multiple-computers-multiuser-network-nas-shared-1/). To accomplish this for my iTunes installation as well, I followed the tutorial on the Microsoft Forums at – http://social.microsoft.com/Forums/en/whs2011/thread/bd62ee3d-a933-4cad-ae9b-fd38adc994c0. On my journey, I learned a few things about my own install and a few tweaks that I needed to do to make it work correctly. In support of the power of social forums such as this, and since I learn so much from them, I always like to “give back” to the community as a whole. After all, I learn everything through social connections and collaboration. It is the new learning model. Below is my contribution to the forum and reflection on my process – I’ll need to remember what I did later, too:-). The Microsoft Forum for this topic can be found here. This worked like a charm for me to consolidate all instances of iTunes in my house to one central database now housed on my Windows Home Server 2011. For those that may be giving this a shot, I thought I’d add one little thing I learned to save you some time. At first, I kept the original iTunes database as installed in it’s folder on the Server at C:\Users\Administrator\Music\iTunes with a symbolic link to the same at M:\ServerFolders\Music\iTunes. I then also created a symbolic link on my central PC (E:\Users\USERNAME\Music\iTunes) to the Server at \\SERVER\Music\iTunes. This caused me some difficulty as I was attempting to create a remote symbolic link to another remote symbolic link (I always refer to this post to remind myself about Symbolic Links – http://www.howtogeek.com/howto/windows-vista/using-symlinks-in-windows-vista/). Doing this provided me with this error – “The symbolic link cannot be followed because its type is disabled”. I found this tutorial which will explain how to change the SymLink default to allow Remote to Remote linking – http://blogs.msdn.com/b/junfeng/archive/2012/05/07/the-symbolic-link-cannot-be-followed-because-its-type-is-disabled.aspx. This still, however, wasn’t the best answer as I continued to get errors from the iTunes program on the PC. 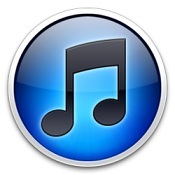 THE BEST ANSWER is to have the original and main iTunes folder located IN THE SERVER SHARE (\\SERVER\Music\iTunes) with the symbolic link in c: drive where iTunes is looking (C:\Users\Administrator\Music\iTunes). This way, iTunes is looking to the symbolic link that connects to the original in the server share. This server share is accesible via the client PC and a symlink on the PC now connects beautifully to the iTunes instance on the server.